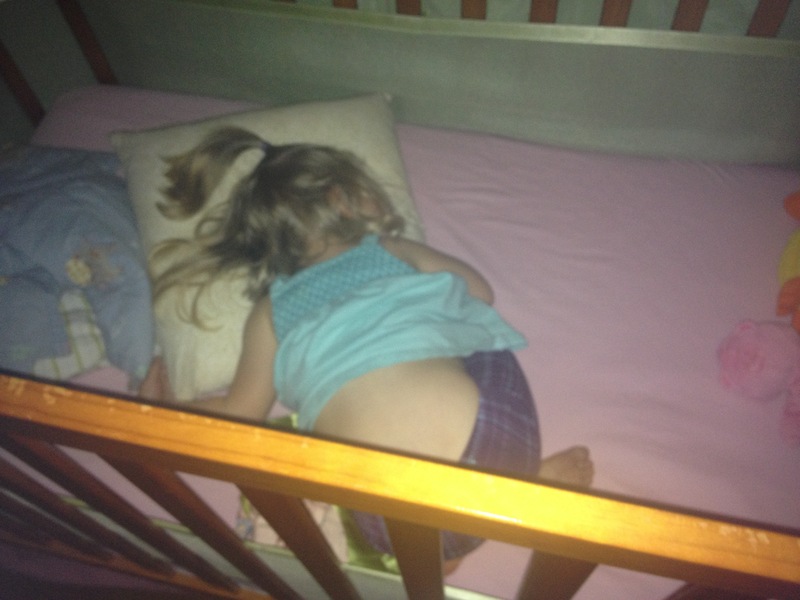 Now it’s the afternoon, and Isla is home from preschool day#1. She apparently did great! She’s already informed me that she would like to go back to preschool some day (how’s Friday sound?). While she was away, I think I only checked the time about every 10 minutes. Not bad! 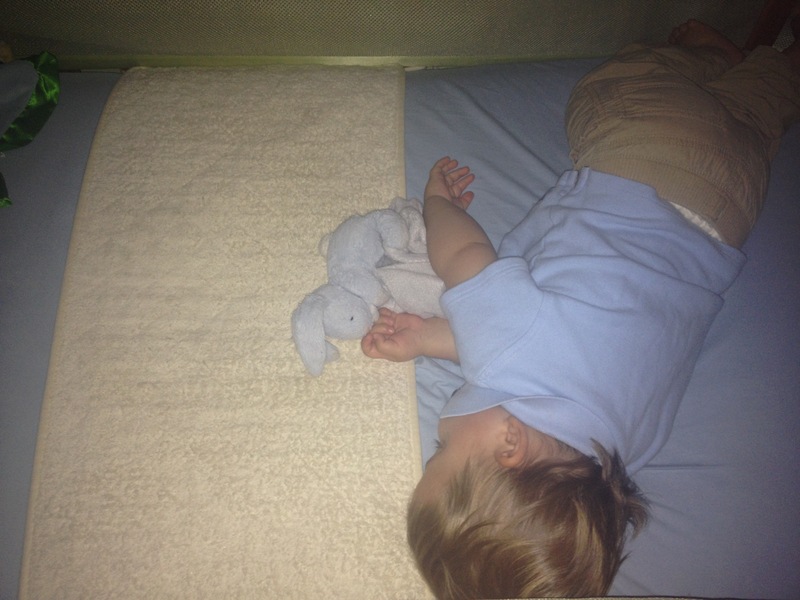 😉 Now, both Isla and Asher are napping, in the same room (this might be an even greater milestone than preschool, I’ll have to think about it). 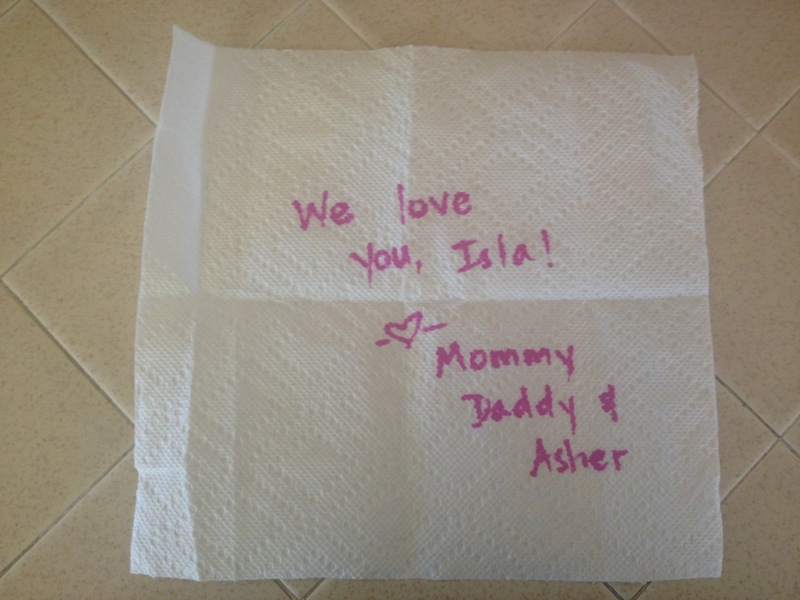 I’m cleaning up Isla’s beloved lunch box, and I came across the paper towel with the little note I put in there for her- still all folded up, and without one iota of food smudge on it. In other words, it was never used. Yep, the day was more challenging for me! Sigh. « First day of preschool!